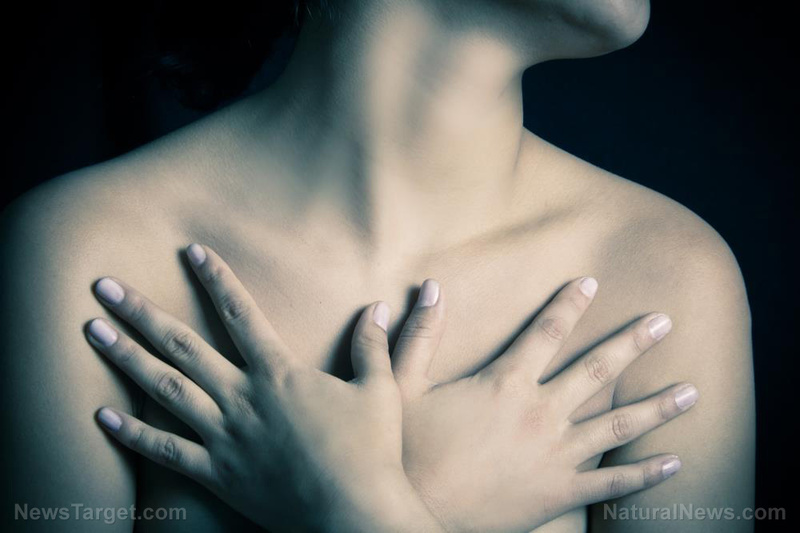 (Natural News) Statistics indicate that breast cancer is the second most common cancer in American women. While death rates from this deadly disease have been steadily decreasing in most Western countries, a breast cancer diagnosis remains both terrifying and dangerous. Medical experts advise regular screening, lifestyle changes and a healthy diet as the best ways to reduce the risk of developing this form of cancer. And a recent study has confirmed just how important eating lots of fresh fruits and veggies is in preventing this disease. The study, conducted by a research team from the Harvard T.H. Chan School of Public Health and published in the International Journal of Cancer, found a “significant association” between increased consumption of fresh produce and a reduced risk of breast cancer, particularly the risk of developing aggressive tumors. As reported by Integrative Practitioner, the research team based their metanalysis on dietary questionnaires submitted every four years by 88,310 women to the Nurses’ Health Study beginning in 1980, and a further 93,844 women who submitted questionnaires for the Nurses’ Health Study II, which commenced in 1991. The study found that women who consumed more than 5.5 servings of fruits and vegetables each day benefited from an 11 percent reduction in breast cancer risk when compared to those who ate fewer than 2.5 servings daily. An adult sized portion of fresh produce is defined as 80 grams or 2.8 ounces, and generally amounts to a cup of raw leafy veg, or half a cup of other raw or cooked fruits and veggies. Interestingly, when the researchers isolated the link between fresh produce consumption and specific types of breast cancers, they found that the higher consumption was specifically linked to a reduction in risk of developing the most aggressive forms of this cancer, specifically HER2-enriched, ER-negative and basal-like tumors. In a previous study, the same research team identified a link between high fiber intake and breast cancer risk reduction, but in this study, they found that the benefits of higher fruit and veg consumption was unrelated to the amount of fiber consumed. This would indicate that other nutrients and antioxidants are likely responsible for the risk reduction. While increasing overall consumption of a wide variety of fruits and vegetables would be advisable to reduce breast cancer risk, a previous study conducted by researchers from Brigham & Women’s Hospital and Harvard Medical School and published in the Journal of the National Cancer Institute found that vegetables high in carotenoids are especially beneficial in this regard. The researchers conducted a meta-analysis of the data from 8 separate studies on a total of 7,000 women – consisting of 80 percent of all published data on the link between carotenoids and breast cancer. In addition, the researchers re-analyzed all the original blood samples in order to standardize measurements of carotenoid levels. They found that women whose blood was in the top 20 percent in terms of carotenoid levels were 15 to 20 percent less likely to develop breast cancer than women whose blood was in the bottom 20 percent. So, what are carotenoids and which vegetables contain the most? Carotenoids are a group of A vitamins that include lycopene, lutein and beta-carotene, and are potent free radical fighting antioxidants. The veggies that contain the most carotenoids are carrots, sweet potatoes, dark leafy greens and tomatoes. Learn more at Nutrients.news.